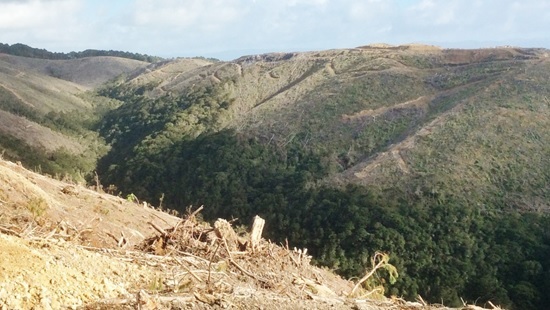 PF Olsen’s client RMS New Zealand Ltd who own the cutting rights over the Wellington Regional Council plantation forests approached PF Olsen in August 2016 expressing a desire to obtain PEFC certification. From October 2016 a programme was put in place to prepare a management plan for the forests, work through a public consultation process in early 2017 and be ready for audit in April 2017. This programme was executed and by early April a “pre-audit” as required in the rules for the Certification Standard for a first time certification was undertaken. Just over a working week later a 4 day long full audit was undertaken, and the outcome of the audit process has been that this estate has been recommended for certification. Kit Richards, PF Olsen’s Environment Manager, says this was a very accelerated certification pathway and the fact that it could be successfully completed was a testament to the inherent strength of the systems followed by PF Olsen (which already runs a Forest Stewardship Council Group Certification Scheme), and the commitment and culture of the local staff and contractors undertaking work in these forests. It had been pleasing to see in the course of the audit that there had been some excellent work in terms of environmental outcomes, with careful harvesting around native reserve edges being one example achieved to a high standard. While the two certification schemes, Forest Stewardship Council and PEFC, are very similar in their high level principles, there are differences in the detail and in many ways the two systems complemented each other says Mr Richards. The outcome is that while only specific estates are actually certified to one or other schemes, the systems requirements of each also flows generally through all PF Olsen management resulting in a more robust approach to the management of Clients’ forests and forestry related risk.